Explore over 50,000 sq. 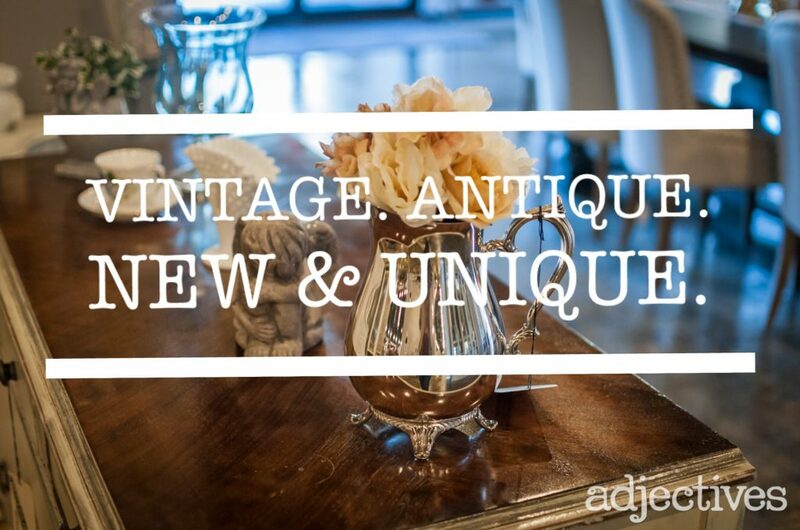 ft of vintage and reclaimed furniture, beautifully restored antiques, unique home decor, fashion, accessories and more in 3 Adjectives Market locations throughout Central Florida. We’re open everyday from 10am – 7pm. Stop in and shop today! Closed only on Thanksgiving Day, and Christmas Day. *At our Altamonte and Winter Garden locations you can also join a creative workshop! Learn more here. We’re Central Florida’s destination for creation. Explore 50,000 ft2 of unique living spaces in three different destinations across Central Florida. Designed by a community of over 100+ artisans, each space is personally designed by a unique individual. Each week they bring in vintage, antique, new and unique creations. We’re an ever-changing, always inspirational adventure, different every time you visit.